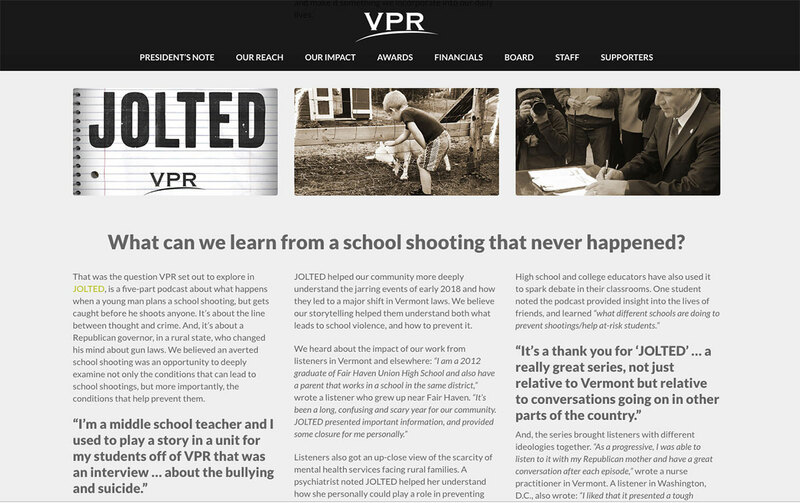 Vermont Public Radio once again provides its listening and contributing audience its Community Impact Report (formerly the Annual Report) as a dynamic, responsive, infographic-style website. As with 2015, 2016, and 2017, the report is served up via a WordPress one-pager, with a navigation menu directing down the page to key sections. Financial charts and graphs were created in Illustrator defining revenue, expenses, and membership trends. A PDF version of the site content was also created to accompany the online report.